On Wednesday, Sept. 3, students from Manhattan's Stuyvesant High School who live in Queens presented a check for $5,000 to the American Red Cross in Greater New York to support disaster response operations. The students held a benefit concert in June with donations going to the Red Cross. This is the sixth consecutive year the school has raised funds for Greater New York. 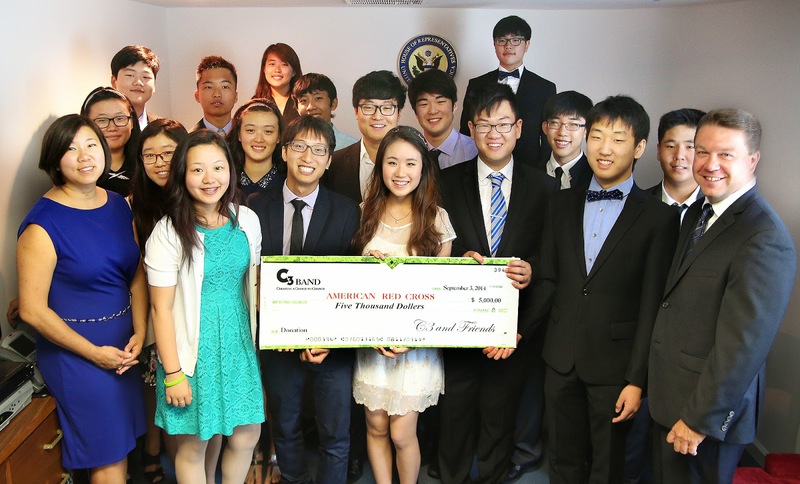 The check presentation was held in the office of Congressional Member Grace Meng. Rep. Meng thanked the students for their continued commitment to their community and to the Red Cross for its continued service to New York City and her district. Several of the students in the music program are also members of the Stuyvesant High School Red Cross Club, which is the largest student club at the school.